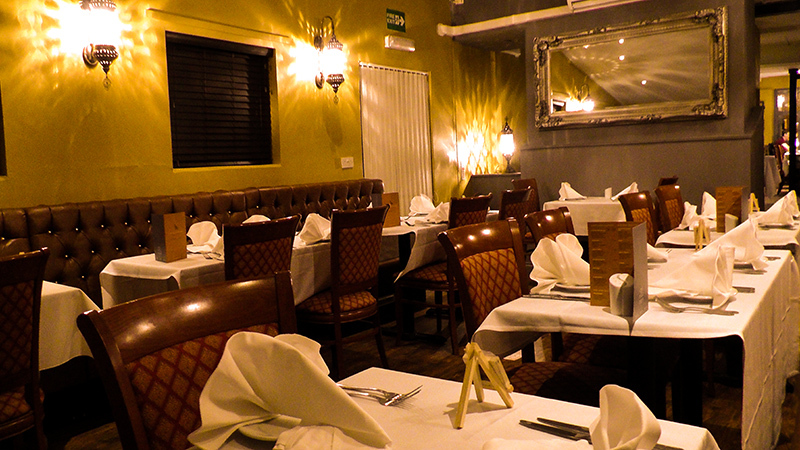 Welcome to the Bengal Merchant Indian restaurant. 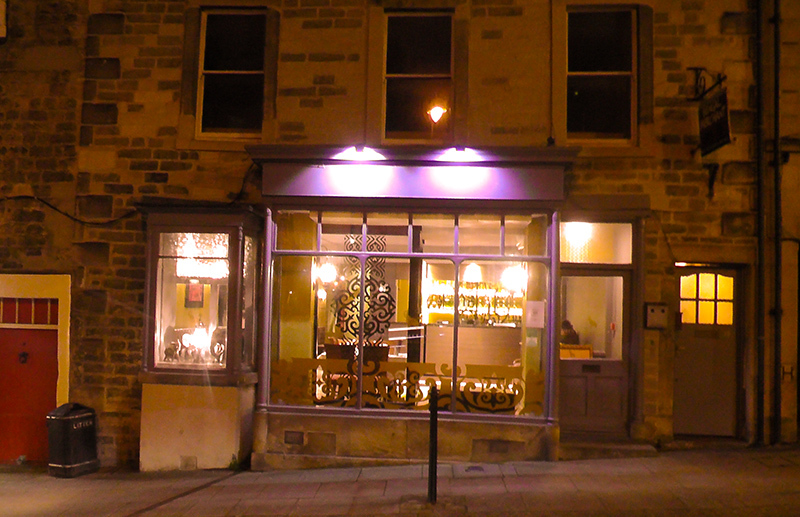 The restaurant is situated in a mid 18th Century listed building, located on The Bank, within historic Barnard Castle’s town centre, in the shadow of an octagonal building called the “Market Cross”, built in 1747. The Market Cross served as the butter market as well as the town’s jail, fire station, town hall and court house. On the ground level through the entrance lobby is our relaxed waiting area. You are welcome to relax here in the cosy warmth of our new air conditioning. 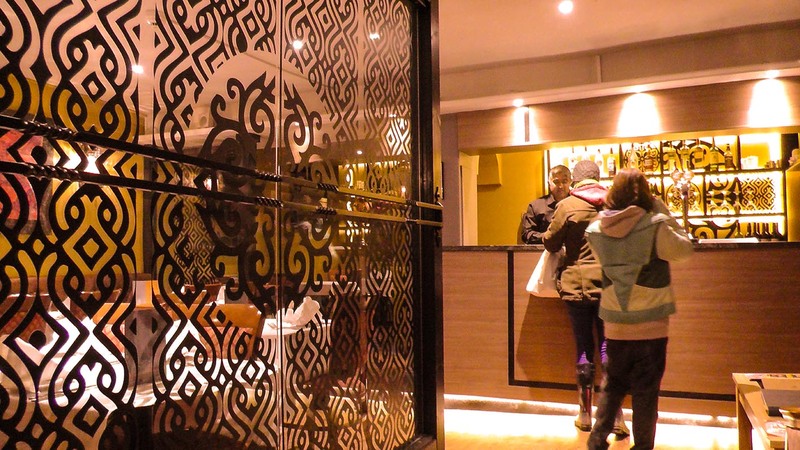 Why not have a natter with us and the other friendly customers while you wait for your takeaway? The bar is here too so why not have a pint of Cobra or a gin & tonic? 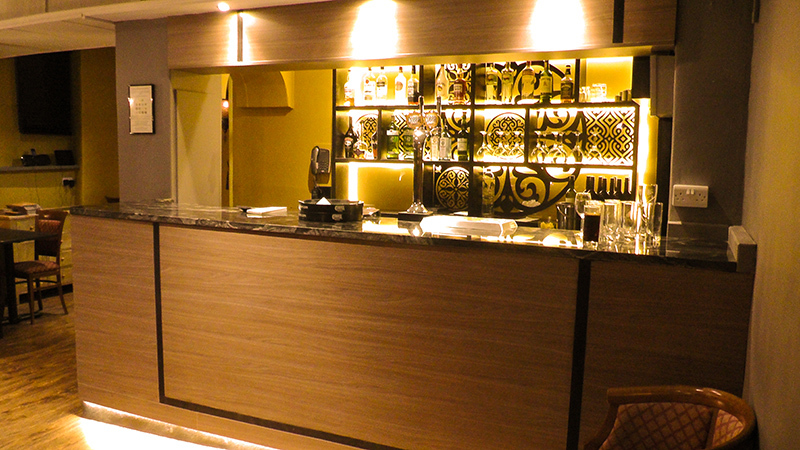 We have an extensive list of spirits for you to choose from and offer a popular wine selection. But if you are driving how about a nice coffee or a soft drink? In our front dining area there are a number of small tables for couples or small groups who like to people watch, or see the world go by, out of the front windows. The mid section dining is a little more private and quieter for business meals or romantic dinners. Again it benefits from our new, warm air conditioning system. 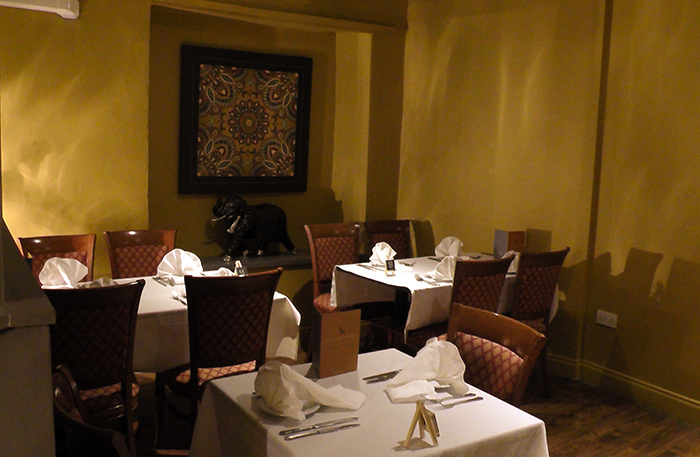 Our larger rear dining room is down a few steps at the back of the restaurant. 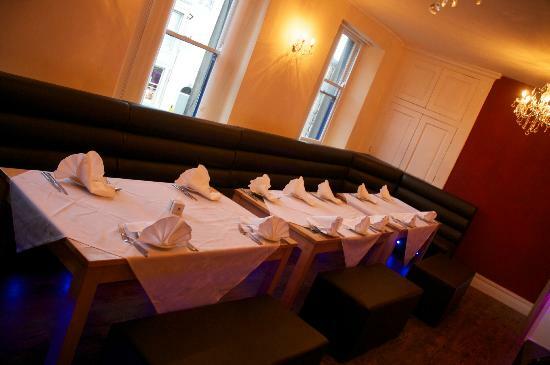 This warm area, can comfortably accommodate medium size groups or a number of small parties and couples. Patio. The french doors lead onto the outdoor decking area where there is an option of alfresco dining in the summer months. 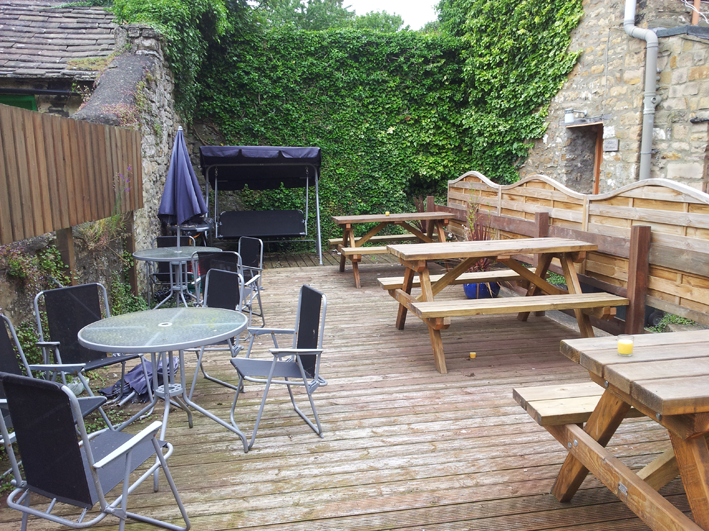 This patio area is bordered by the large stone walls of the town’s 12th Century castle which are covered in ivy. 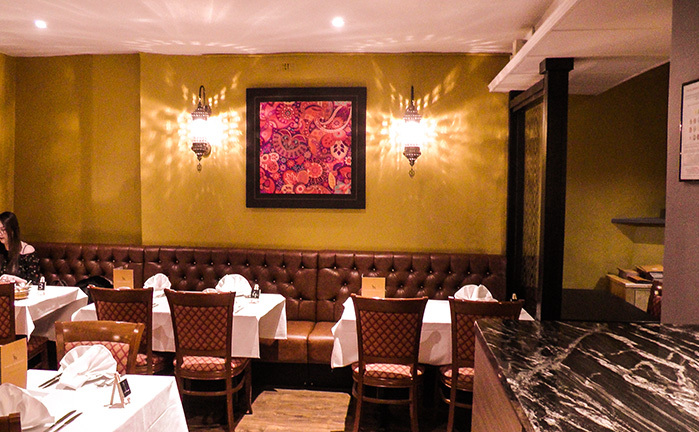 Private Dining Room Dining in the Bengal Merchant beguiling private room, is a shimmering, exotic treat. This stylish and atmospheric room has comfortable seating and glamorous chandeliers with fantastic views onto the historic Bank. Situated on the floor above the restaurant, the private dining room benefits from easy access to the powder rooms and seats up to 30 in comfort, but can be adjusted to accommodate less persons. The service is discreet, warm & professional. If it’s a corporate event, a champagne reception or a 40th birthday in fancy dress we can accommodate you. There is no charge for the use of the room.